One thing that makes life in LA great is how easy it is to get away. A plethora of scenic destinations are just a short drive away. Recently, I spent two days in Ojai for my cousin’s birthday. A 90-minute drive from Hollywood leads to a tiny historic town nestled between orange groves. An enticing scent of orange blossoms fills the air, rolling mountains frame the sky, and positive cosmic energy aligns the chakras. (Ojai supposedly contains more spiritual retreats per capita than any other town in the USA.) Here’s an itinerary for enjoying this Southern California oasis, based on how I spent my two days. Rose Valley Falls is a stunning two-tier 300-foot waterfall located in the Topatopa Mountains of the Los Padres National Forest. The 0.8 miles round trip hike is so easy, it’s really just a stroll. Rose Valley Falls is the tallest waterfall in the range, and due to Southern California’s steady winter rains, it was turned all the way on. Downtown Ojai contains a handful of wine tasting rooms, featuring wines from local vineyards. 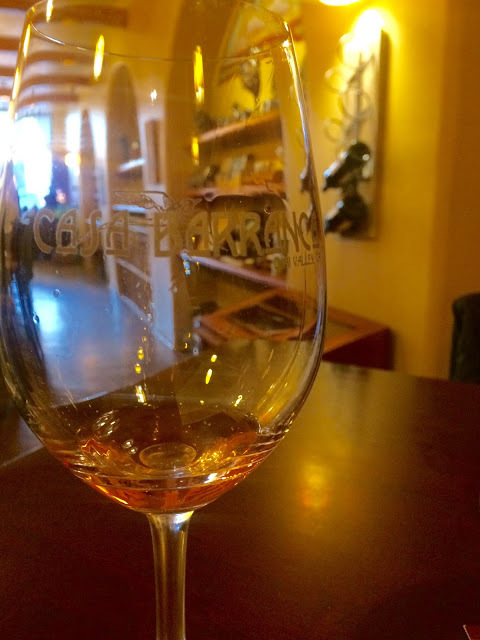 We stepped into The Casa Barranca Winery Tasting Room, located in downtown Ojai’s shopping arcade. I entered with the intention to merely taste, but I exited with two bottles: a rose, and a cab. The Majestic Oak Vineyard Tasting Room offers a bewitching courtyard patio, as well as an indoor cellar. The Ojai Vineyard Tasting Room brings the ambience of a vineyard-side tasting room to Downtown Ojai, offering tastes from their extensive cellar. The town of Ojai was originally developed in 1874. After a fire destroyed the original western-style town in 1917, the new development matched the Colonial-Revival architecture that was popular at the time. The Spanish-style arcade on Ojai’s main drag is a picturesque shopping destination, with independent boutiques and galleries that all cater to the area’s artistic sensibilities. Checkout a walking map here. 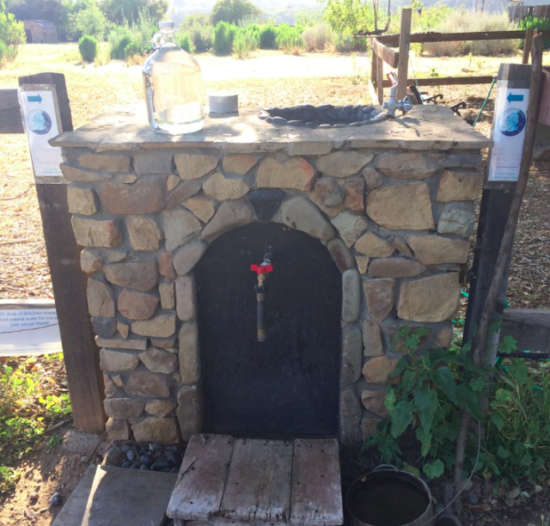 Natural spring water abounds in Ojai. The community installed a pipe on Rice road called Windmill Spring where you can fill your bottles for a mere $25 donation. The clean, clear taste of the water will promptly turn you into a water snob, touting its healing, spiritual benefits. This tiny yoga studio on Roblar drive offers $5 drop-in flow classes that end with a resounding chime on a singing bowl. I left feeling aligned and refreshed, and wishing I lived close enough that Arrow Heart could be my regular yoga studio. 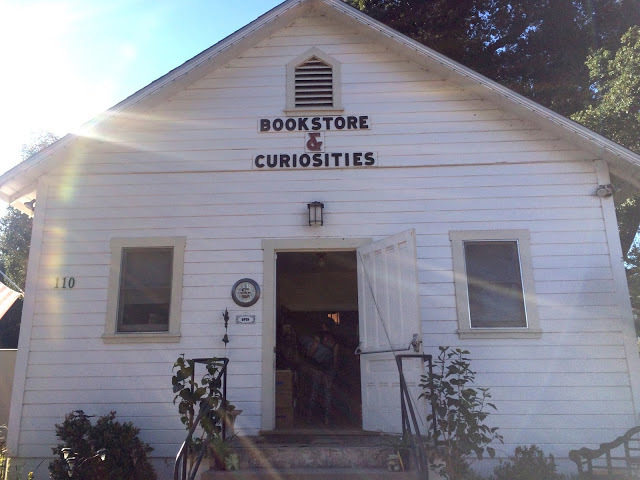 Housed in an old chapel, this is the bookstore of your dreams. It even offers a community knitting project, where you can add your own rows to a scarf. Outside, in a large, grassy yard sits “Addendum,” a 1961 Airstream that has been renovated into a bookshop of its own. The very journey to Meditation Mount is inspiring enough – it requires that you drive through miles of gorgeous orange groves. Five miles east of downtown Ojai, the center, founded in 1971, features a meditation garden with an east-facing overlook of the bluffs of the Topatopa Mountains. 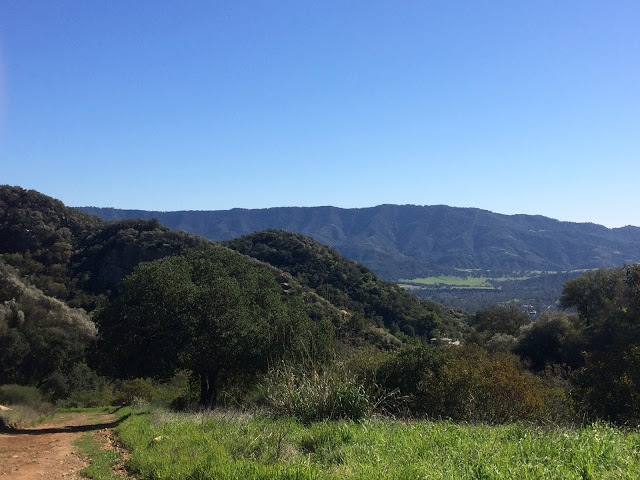 The Ventura River Valley Preserve contains several hiking trails that run riverside, and offer breathtaking views of the Ojai Valley. My visit to Ojai was too brief. Should you go, plan to stay for three days, to experience it in full. If places can possess healing powers, Ojai is so potent, it might even be a cure for anything that ails you.